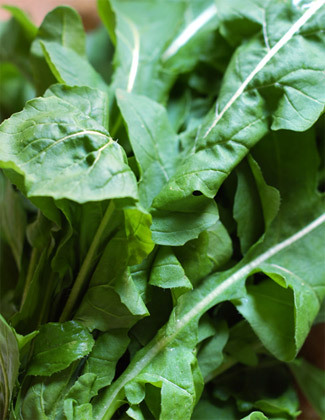 A salad herb “ Rocket, better known as Arugula (Eruca Sativa) has depicted anti-ulcer properties, confirmed a Saudi Arabia-based research group. The team noticed that Rocket extract depicts antisecretory, cytoprotective and anti-ulcer activities against experimentally-induced gastric lesions in rats. The anti-ulcer properties are probably due to prostaglandin mediated activity and/or through antioxidant and anti-secretory properties. Gastric ulcer is a common illness affecting millions worldwide, and despite several revolutionized treatments available for peptic ulcers and gastrointestinal disorder, there is no complete cure for the disease. Also, long-term use of drugs is believed to lead to several adverse affects. Hence, a more effective and safe anti-ulcer agent is the need of the hour. Off-late Rocket “Eruca Sativa L” (EER), a member of Brassicacae family has gained prominence as a salad vegetable and spice, particularly among Europeans and Middle Eastern populations. The research team led by Dr. Syed Rafatullah of Saudi Arabia, evaluated the gastric anti-ulcer properties of EER on experimentally-induced gastric secretion and ulceration in albino rats. The gastric lesions were induced by noxious chemicals such as ethanol, indomethacin, strong alkalis and hypotermic restraint stress. The gastric wall mucus levels (GWM), malondialdehyde (MDA), and non-protein sulfhydryls (NP-SH) were measured in glandular stomach of rats, following ethanol administration, and the gastric tissue was examined. The extract was administered using two doses (250 and 500 mg/kg body weight) in all experiments. The researchers noticed that ethanolic extract of EER considerably reduced the basal gastric acid secretion, ruminal ulceration and titratable acidity. Rocket extract helped in soothing the gastric ulceration induced by necrotizing agents significantly. This anti-ulcer property was further confirmed histologically. Rather, the extract considerably replenished the GWM and NP-SH levels and the MDA level significantly reduced by the extract pre-treatment. The team concluded that EER Extract posseses cytoprotective, antisecretory, and anti-ulcer activities. The anti-ulcer properties are due to the prostaglandin mediated activity and through its anti-oxidant and anti-secretory properties.